The 1000th Heidelberg Wallbox Home Eco is taken into service at non-profit association Anpfiff ins Leben e.V.. The Heidelberg Wallbox Home Eco is available from outlets including Amazon I Germany only, with prices starting at 499 euros (incl. VAT). A look at the vehicle registration statistics for 2018 shows that German consumers are now also embracing electromobility, with electric and hybrid vehicles becoming increasingly popular. 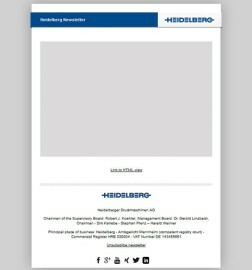 With this in mind, the 1000th Heidelberg Wallbox Home Eco – a charging device for electric and hybrid vehicles – has already rolled off the production line at Heidelberger Druckmaschinen AG (Heidelberg), just half a year since the sales launch of this in-house development. 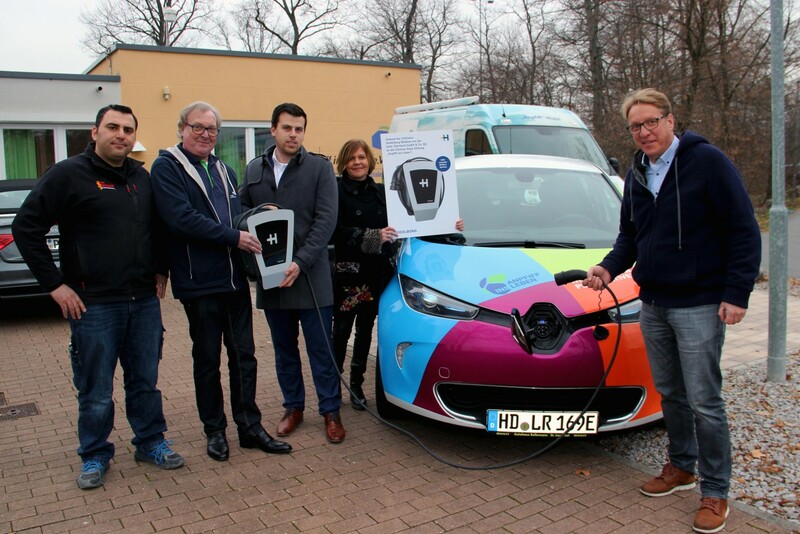 The 1000th Heidelberg Wallbox Home Eco will help power the electric vehicle fleet of Anpfiff ins Leben e.V., a non-profit association supporting young athletes and amputees. Based in Walldorf, the association purchased the charging device via a Heidelberg Wallbox sales partner – electrical wholesaler Gebr. Eberhard GmbH & Co. KG in Heilbronn. The unit was then expertly installed by Peter Hofmann Elektrotechnik from Hoffenheim. “We are delighted at the excellent customer response to our Heidelberg Wallbox Home Eco. There will be a further significant increase in sales as electromobility grows in popularity. 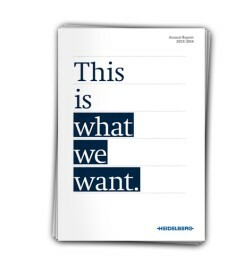 Heidelberg is extremely well placed to meet market requirements thanks to its extensively tried-and-tested technology platform,” says Stephan Plenz, member of the Heidelberg Management Board responsible for Digital Technology. So far, the company has only been selling the charging system in Germany and directly to end customers. It can be ordered from online platforms such as Amazon and also from various retailers and consumer electronics stores. Marketing of the Heidelberg Wallbox Home Eco has now got off to a successful start, including at Amazon, where the customer reviews are without exception very good. 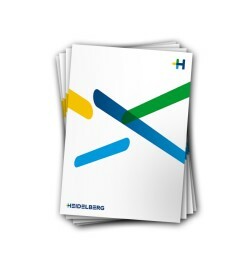 Heidelberg also has a number of electrical wholesalers and various consumer electronics chains of well-known suppliers on board to sell and publicize the product. 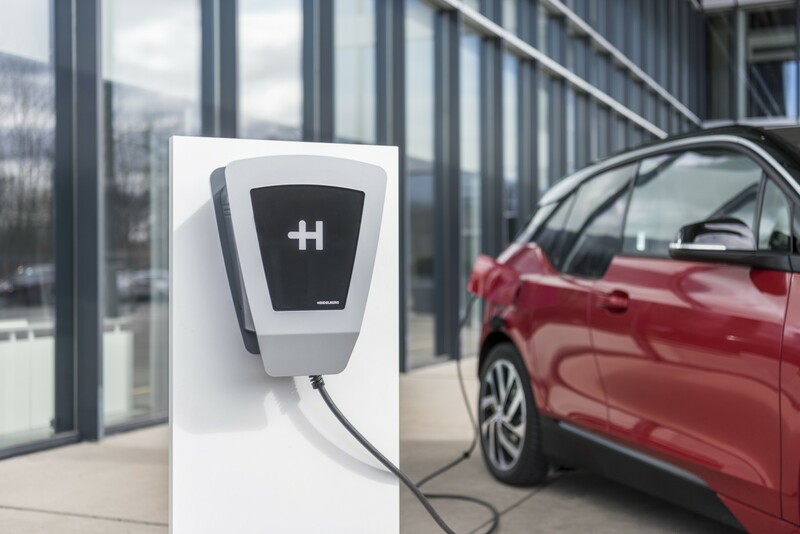 The system is aimed at individuals and also at businesses and local authorities that want to use the charging station to recharge the electric vehicles in their own fleets as well as those of customers and visitors. The power electronics, which Heidelberg developed itself and produces exclusively in Germany, are the very heart of the Wallbox Home Eco. The charging system must be installed by a qualified electrician and mounted securely on a garage wall, in a carport, or on an outdoor column. The power is supplied via a separate AC cable with appropriate fuse protection, in a similar way to an electric oven. Operation is based on the extremely straightforward plug & play principle. The charging power can be adjusted in a range extending to 11 kW. Last but not least, the robust design and operation mean no maintenance or servicing is required. During the current calendar year, the company is planning an enhanced Business version that will support the accurate billing of charging processes for customers such as fleet operators. Figure 1: The 1000th Heidelberg Wallbox Home Eco is taken into service at non-profit association Anpfiff ins Leben e.V. Marco Flach, Heidelberg Wallbox Sales Manager (3rd from left), with Dietmar Pfähler, First Chairman of Anpfiff ins Leben e.V. 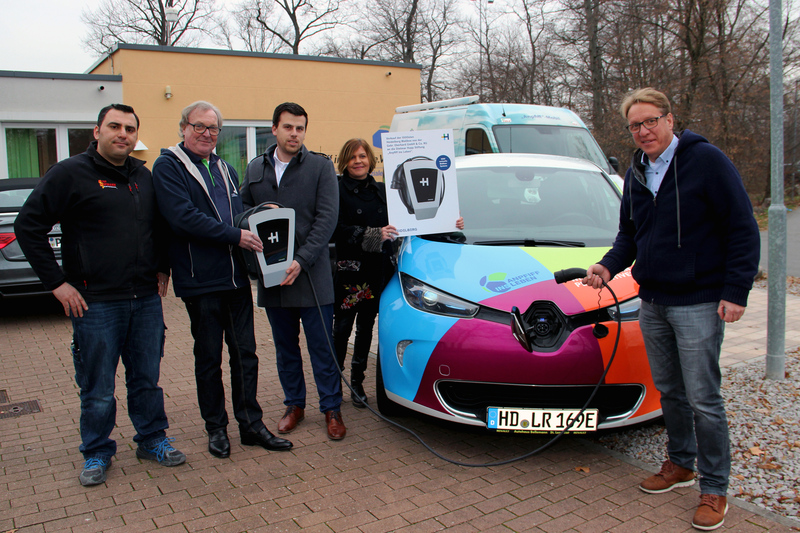 (2nd from left), and Beate Anderl (2nd from right), Head of Electromobility at electrical wholesaler Gebr. Eberhard GmbH & Co. KG. Electrical installation company Peter Hofmann Elektrotechnik and electric vehicle supplier Autohaus Belleman GmbH are also represented. Figure 2: The Heidelberg Wallbox Home Eco is available from outlets including Amazon I Germany only, with prices starting at 499 euros (incl. VAT).